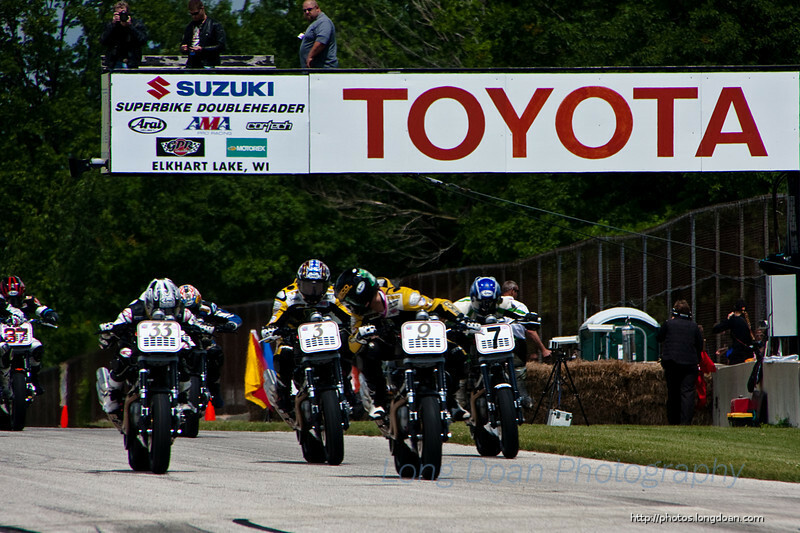 The inaugural race of the XR1200 series started at Road America, June 2010. Jake Holden looked over as Danny Eslick pulled a wheelie for the start of the warm-up lap. 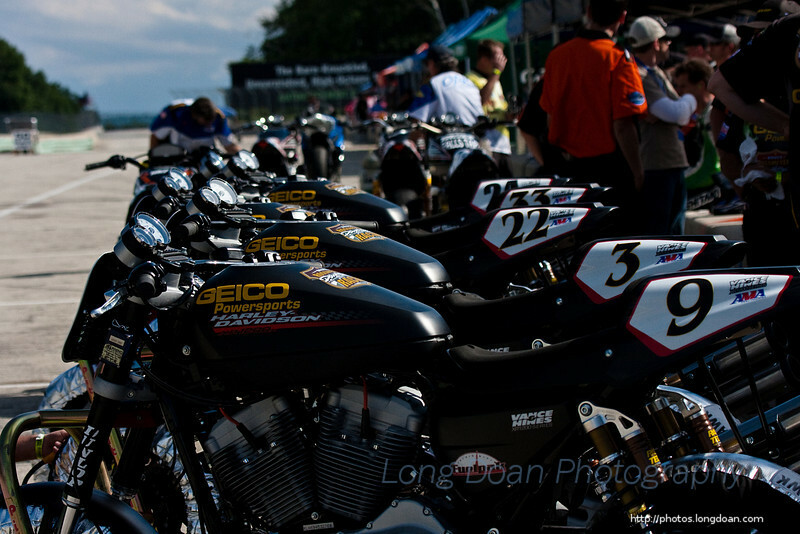 The inaugural race for the XR1200 series is about to start. 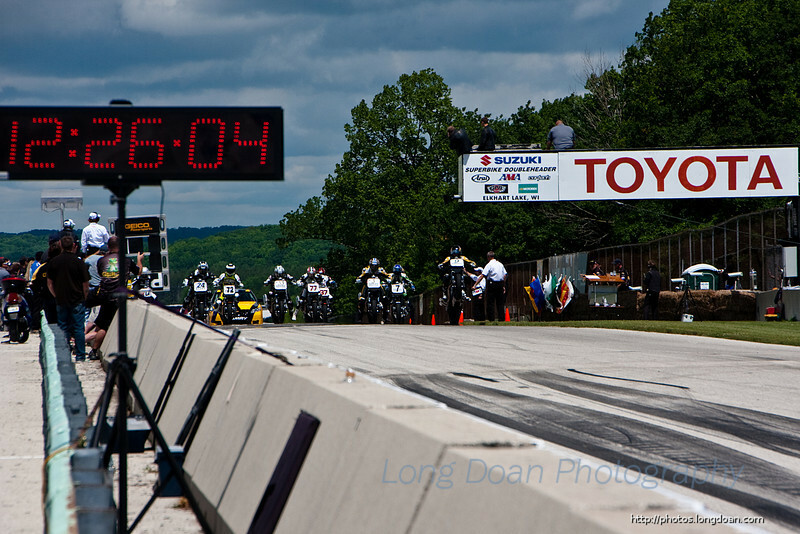 The inaugural race for the XR1200 series is starting. Danny turns the bike into turn 6th. 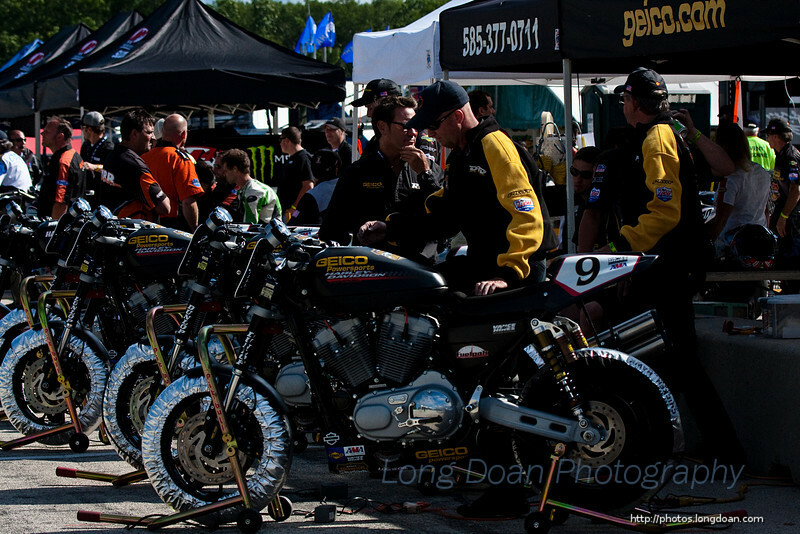 Last-minute checks before the race. 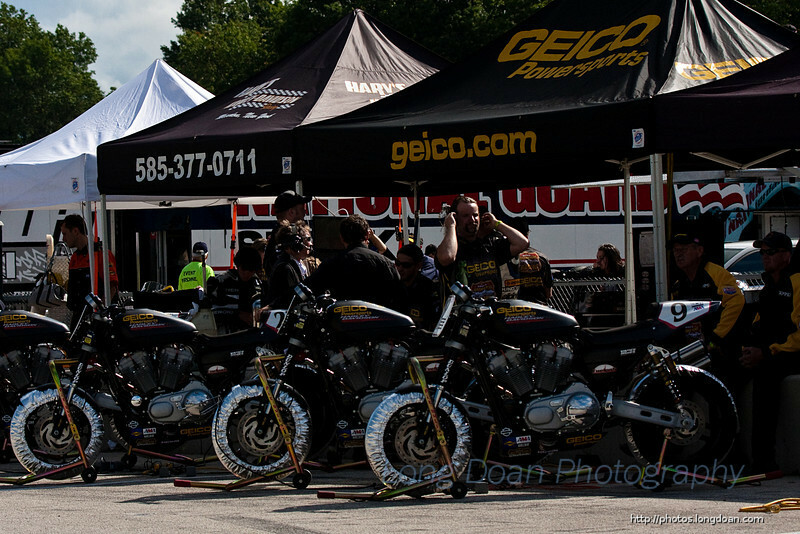 The XR1200's are being ready for the race. 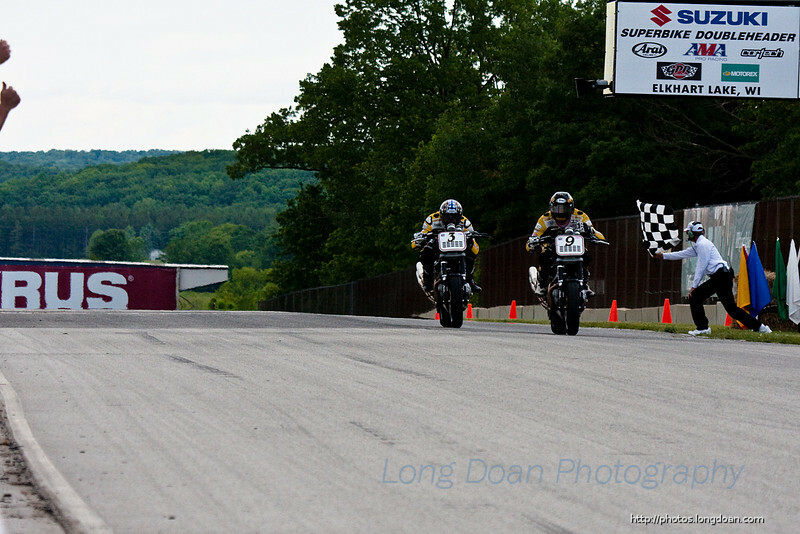 Danny Eslick edges out Jake Holden for the win at the inaugural race of the XR1200 series. 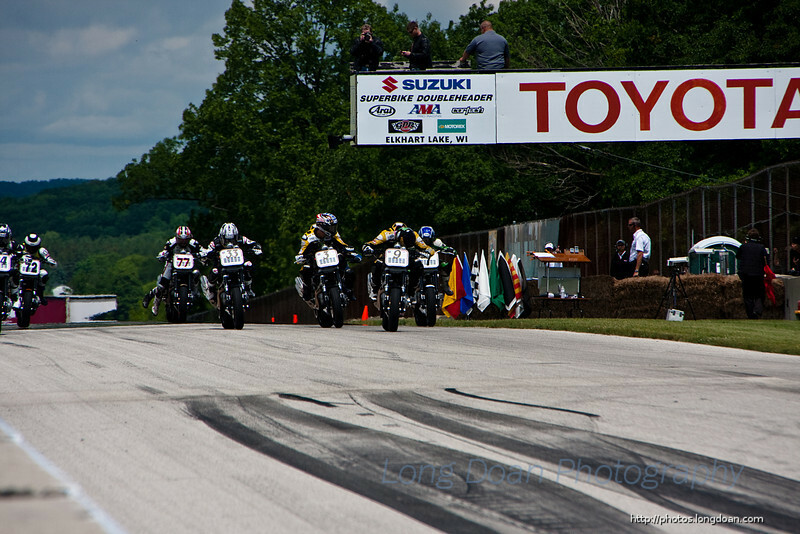 June 6th, 2010 at Road America. 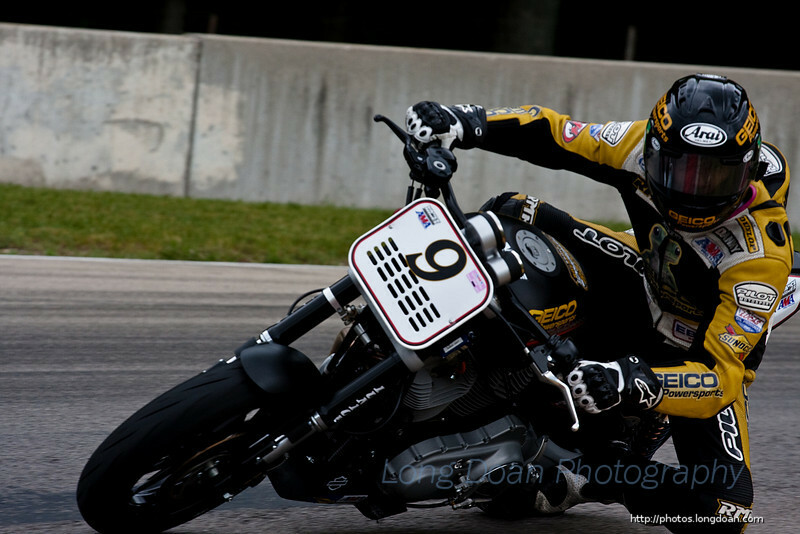 Danny Eslick giving the thumb-up after winning the inaugural race of the XR1200 series.